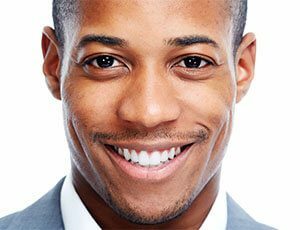 Are you self-conscious about your smile due to tooth discolouration? It is inevitable that over time the surface of our teeth becomes stained due to the food and drink we consume, and other lifestyle behaviours, and although regular brushing and dental visits can help to keep your teeth well-maintained, it cannot whiten or remove deeply embedded stains as effectively as laser teeth whitening. Wentworth Clinic utilises ‘Philips Zoom’ Professional Teeth Whitening with Relief ACP which is proven to whiten teeth up to eight shades, and unlike other tooth whitening products that can harm or damage teeth and gums, Zoom is completely safe. Over the years we have perfected our tooth whitening procedure to ensure we obtain the whitest teeth, in the safest possible way. Your gums will be carefully protected by our dental professional, then our unique hydrogen peroxide whitening gel is applied which will begin to break down the molecular bond that makes up stains in and on your teeth. The intense light of the Philips Zoom White Speed Whitening LED Accelerator shines on the whitening gel making the process work even faster, improving whitening results as much as 40%. If you are interested in finding out more about our Teeth Whitening procedure or arranging a private consultation with our dental team then complete our contact form, or call our office to schedule your one-on-one dental consultation. Once you’ve experienced the revolutionary Zoom! tooth whitening procedure. The following 48 hours will be very important in enhancing and maximizing your whitening results for a long lasting, bright and healthy smile. Practice good oral hygiene including thorough tooth brushing, flossing to remove debris from between the teeth, and tongue cleaning. Your dental professional will assist you in selecting the products to maintain a healthy white smile. The Wentworth Clinic cosmetic dentist treats patients in the Bournemouth, Southampton, Ringwood, Dorchester and most areas in Dorset, and Hampshire. Our state-of-the-art clinic and dentist are fully qualified and recommended by Philips for utilising Zoom laser whitening services. The clinic is also renowned for it’s Jet Peel deep cleansing and facial exfoliation treatments. We offer only the highest quality teeth whitening procedures at Wentworth Clinic – Philips Zoom! Laser Teeth Whitening. Teeth Whitening Procedure starts at £320, this includes 2 bleaching trays, and tubes of day white gel. Find out more about our Laser Teeth Whitening procedure by calling the clinic today.